No matter what new advances come along in the professional world, (Facebook, Twitter, LinkedIn) email still holds strong as the top method of communication. However, email is not just essential for basic communication. It is also crucial for media relations and marketing campaigns. 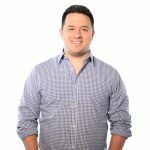 If your livelihood (or just your day-to-day productivity) relies on emails being opened and responded to, check out the tips for email marketing solutions below. 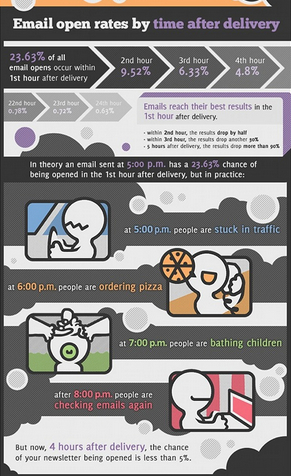 These findings should help you figure out the best times to do your emailing. The majority of emails are sent between 6 a.m. and 12 p.m.; the least productive hours for email interaction are from midnight to 6 a.m. The “best” hours (or the hours that see the highest amount of click throughs) are 8 a.m. to 9 a.m., and then again from 3 p.m. to 4 p.m. 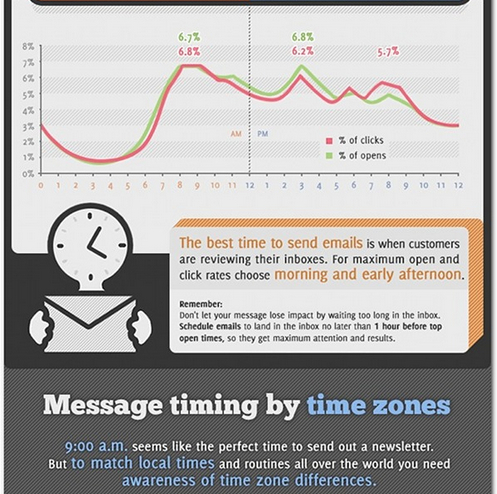 So next time you’re sending an email, remember – for maximum efficiency, the best time to send emails is when your co-workers or clients are reviewing their inboxes. Opt for morning and early afternoon hours. Hope these email marketing solutions and tips for effecient correspondence were helpful for you!